2019 Is The Club’s 10th Anniversary! So Let’s Get Together, Have Some Pancakes & Ride! Join us at the club’s annual spring meeting and pancake breakfast. Following the meeting, we’ll ride our ATVs and SxSs from The Hub to the OHV trails just to the west in the Foot Hills State Forest. Note: As of March 4th, that trail is closed due to spring thaw. We will monitor the trail status and send out an update a week or so before May 4th. 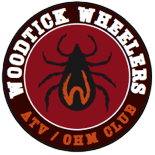 It will be a fun time to visit, thank our business members for supporting the club, and welcome new members who joined over the winter, plus a few club updates, free DNR Trail Atlases and Reg Books, the 2019 ride schedule and all kinds of new club gear. Cass County Sheriff Tom Burch and Deputies will also be there, to update our club on our Search & Rescue ATV Team, and the important roles it plays in our local area. See you there! For more information, send email to club president Dave Halsey: dvhalsey@gmail.com.